Not content to give Intel a run for its money with its new Ryzen processors, it seems that AMD is also looking to give technology giant Nvidia a hard time in the PC graphics card market. This is something that the latest Vega benchmarks published on PC World suggest, even if it was AMD’s top of the line Radeon Vega Frontier Edition which was being tested here though. But still, the results are nonetheless impressive, and worthy of a professional graphics card which might just be the fastest in the world when it comes to pixel-pushing power. 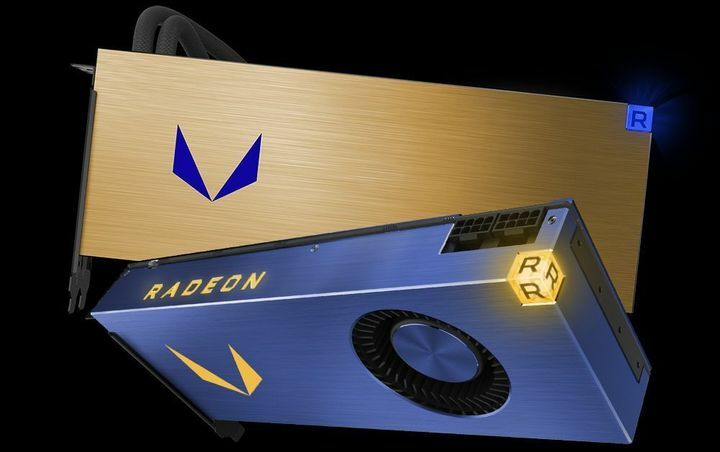 Actually, the Radeon Vega Frontier Edition beat Nvidia’s Titan Xp by double figure percentages in applications such as Catia and Solidworks, and also in the popular Cinebench benchmark. These are early benchmarks, though, and as PC Gamer points out, this toe to toe contest is between a professional card (AMD’s) and a consumer card (Nvidia’s), but it’s clear the Radeon Vega Frontier Edition’s showing is still impressive nonetheless. And AMD’s Vega card will also be priced at $1200, which compares favourably to Nvidia’s own professional cards such as the Quadro P6000, which are way more dear. So gamers with deep pockets could even be tempted to pick up the Radeon Vega Frontier Edition for gaming, a card which boasts some pretty impressive specs as it packs a whopping 4096 stream processors and a very healthy 16 GB of memory. It can deliver up to 13 Teraflops of performance, edging out Nvidia’s Titan Xp which is only capable of 12 Teraflops. To put these numbers in perspective, modern consoles such as the PS4 Pro can deliver about 4 Teraflops of performance, while Microsoft’s cutting-edge will come equipped with an AMD graphics chip capable of 6 Teraflops. AMD’s Radeon Vega Frontier Edition could end up becoming the card of choice for professionals and serious PC gamers when it debuts later this year, then. And if its performance is any indication of what to expect from future Vega cards, AMD could surely end up becoming a major force in the graphics card market pretty soon.